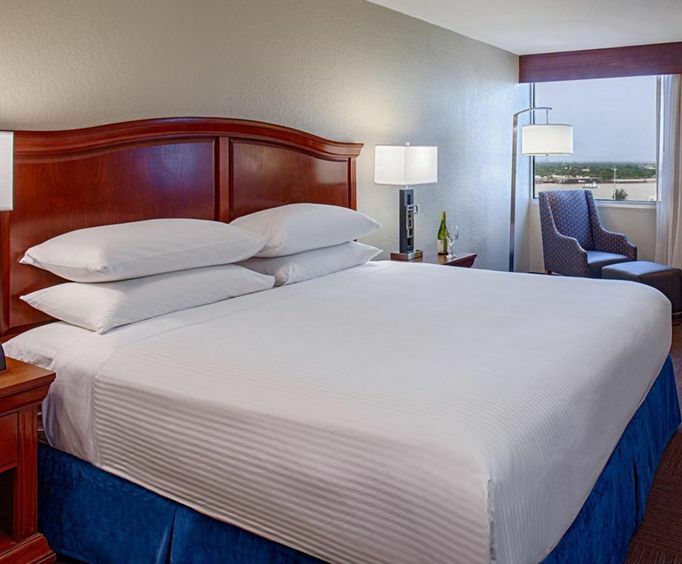 Conveniently located to many New Orleans French Quarter attractions, just under half a mile away from the Audubon Aquarium of the Americas, the Holiday Inn French Quarter offers a relaxing stay in New Orleans, Louisiana. Here you have many amenities that increase your comfort, such as a heated indoor pool, dry cleaning services, laundry services, newspapers in the lobby, a fitness center, an on-site full service restaurant and much more. Other popular landmarks within half a mile of the Holiday Inn French Quarter include the Hard Rock Cafe, Steamboat Natchez, Oak Alley Plantation Tour, New Orleans Meal Ticket, Audubon Insectarium, and many other hotel options. The French Quarter is a lively place, so take advantage of some down time in the hotel before hitting the enticing shopping and nightlife of New Orleans. 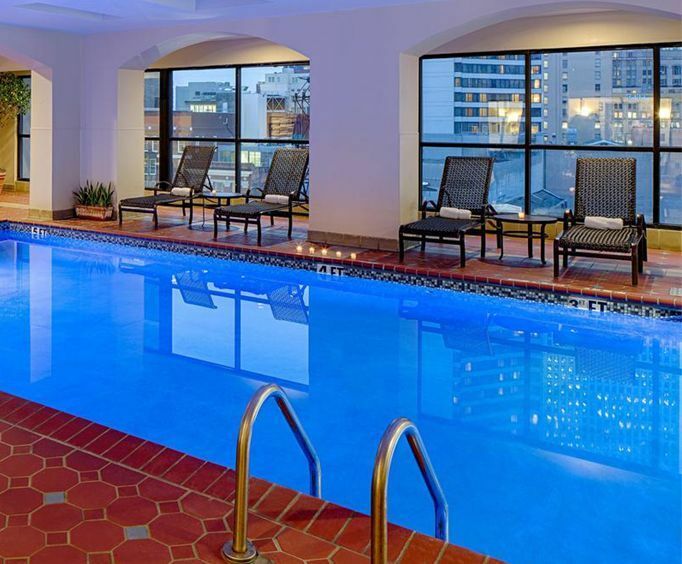 Break into the day with breakfast at the hotel's full-service restaurant, then work it off at the fitness center or heated indoor swimming pool. Relax in the air-conditioned lobby with a complimentary newspaper, or stroll down Royal Street right outside the door to breathe in the ambiance of one of the most famous cities in the world. 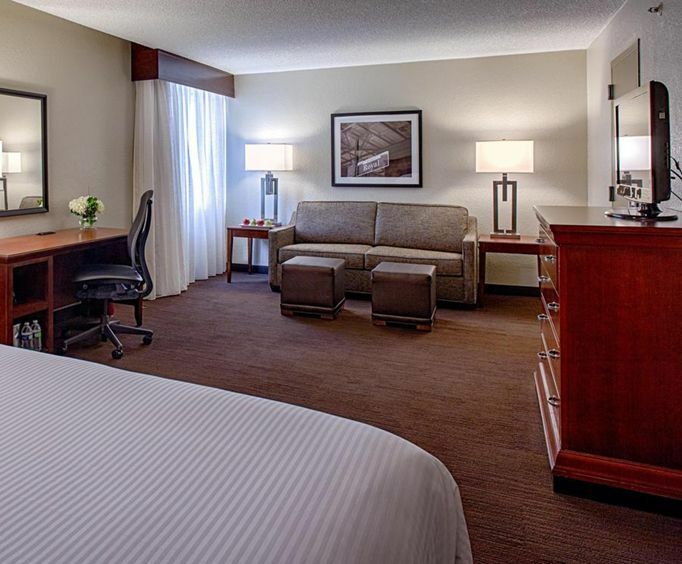 Your room at the Holiday Inn French Quarter includes cable television with Pay Per View movie options, an iron and ironing board, coffee maker and complimentary high speed internet access. You can also rent in-room video games. Your hotel is mere feet away from some of the great restaurants in the French Quarter. The famous Galatoire's, Acme Oyster House, and Bourbon House are all near 500 feet away. If you want to check out an event, travel less than a mile to the New Orleans Arena. Book your trip today and enjoy a family fun vacation in New Orleans Louisana today.